Invisible Grille Singapore | The best safety feature for your loved one. 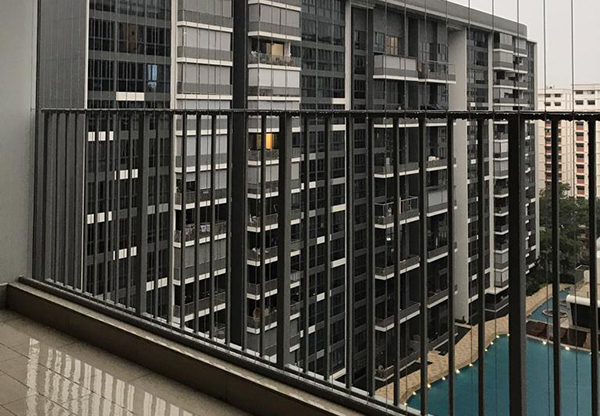 Invisible grilles, also known as stainless steel cables, are often used in high-rise HDBs, condos or even offices here in Singapore. The invisible grille was borne out of the need to enclose balconies and windows for the sake of the homeowners’ safety. Compared to the traditional grilles that appear to be bulky and overbearing, invisible grilles are hardly discernible from afar, blends seamlessly into any background and does not interfere with your interior design. Invisible grilles also don’t block wind or the view, thus it’s really worth the investment. There are three types of open-able invisible grilles: bifold, casement, and sliding. Open-able grilles are convenient in the sense that they can be unlocked for easy access should you need cleaning or servicing the aircon compressor. Fixed invisible grilles are made up of several stainless steel cables that cannot be moved nor opened. You need a solid concrete wall to install fixed grilles. Invisible grilles provide an assurance that your balcony or window is protected from intruders. It safeguards children, the elderly and pets from accidents. The length of the gaps between the grilles can be customised, and they can be affixed vertically or horizontally too. With that safety feature in place, you still get to relish the full panoramic scenery outside your home, without impediments. HDBs, condos, landed property and commercial spaces have varying specifications. 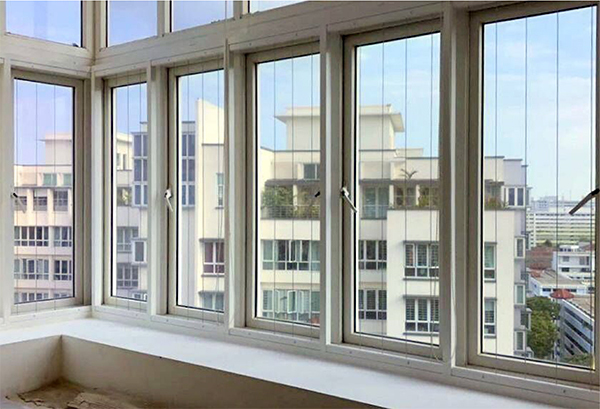 Our invisible grilles can be tailored to fit various window sizes, given that there is sufficient space allowance and frames for mounting cable tracks and wall plugs. Invisible grilles are also used as staircase railings, swimming pool railing, fences and even as a statement piece such as a feature wall. Our invisible grilles are coated to withstand harsh weather and other external elements without rusting. It is made out of premium quality to ensure it’s safe for home use and won’t cut. Our invisible grilles are engineered using only 316 stainless steel, known for its superior strength and ability to withstand a pressure of up to 90kg. Only 316 stainless steel do not rust after being exposed to harsh elements. Or you prefer to speak to us? mc.2 is the leading supplier for your holistic indoor and outdoor living needs, including curtains and blinds or wood flooring and invisible grilles. Our constant R&D ensures that you get the highest quality products that don’t compromise safety and comfort. Our modern invisible grilles are carefully developed to protect homeowners. Whether you are looking for fixed invisible grilles, bifold, sliding or casement openable grilles, we have you covered, and you will be assured with the professionalism of our own certified in-house installer.